Canadianselect.net is just a horrible scam website. The website canadianselect.net displays a complete copy of another spam site without any original information. From the layout of the website, its colors, its design, images and even the products are all far from authentic. It carries an extremely poor reputation online for its spam activities and scam pharmacy under the mask of generic medications at cheap prices. The canadianselect.net website looks just like another website we have reviewed, Northern Pharmacy. Shockingly, they are exact twins with the slight change in their first names, the other one is Northern Pharmacy while this one is Canadian Pharmacy. A statement on the disclaimer of canadianselect.net clearly states that it is not liable for the authenticity or validity of the information present on its website. It further adds that, it is not responsible for making the content error-free by correcting or modifying or updating any of its information. With a strong warning to avoid this website, we urge to keep reading to learn about the complete review of canadianselect.net. ScamAdviser, a phenomenal service, which analyzes a website to extrapolate the trust rating of a website with respect to its geographic location & ownership. The verdict reached by ScamAdviser is befitting to the particular business as well as the target market of consumers. As can be expected from what we know already about the website, it contains a poor trust rating of 0%, which is non-existent and is deemed highly risky. Canadianselect.net is advised not safe for use by ScamAdviser. Located in the Netherlands, the owner is from the Cayman Islands and the site has been detected for malware. The Canadian International Pharmacy Association (CIPA), as the name suggests, is a Canadian association but it fails to recognize canadianselect.net or Canadian Pharmacy which gives the impression that it is a Canadian business. This shows the truly ill-intent of canadianselect.net to fraud consumers for their trust and subsequently, their money. CIPA gives it an Invalid status after not finding it on its member database. 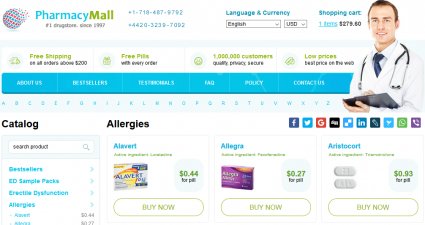 LegitScript simply states that canadianselect.net is a Rogue internet pharmacy website. The report synopsis expresses the complete disapproval of its credibility as a business or even its legality to conduct such a business or associated practices. Canadian Pharmacy, without meeting any regulatory or compliance to set standards of medicinal business, should not be in active business. Customer reviews serve as the ruling standard for customer experience of a business. Especially in the case of online businesses, prospective consumers have nothing to rely on rather than the experience shared by other customers. The website canadianselect.net contains no customer reviews, testimonials or a review section, other than a built-in support form. The support form is not ideal as the consequence of a complaint or query is not displayed anywhere on the website. As can be seen above, quite a few reviews were found regarding canadianselect.net on independent review websites. It is an understatement to say that these are negative reviews. An independent review service provider, Trustpilot, has no record on canadianselect.net. The business is unclaimed by the owners and thus receives zero star rating for its business. This is often intentionally done by such spam businesses as they are only targeting a specific number of innocent consumers who may not be as careful with their online financial decisions. We advise our readers to take caution before conducting any sort of online business. MyWOT gives canadianselect.net an “Unsafe!” rating. It is like a big, red, waving flag for consumers. Do not provide any information or even visit a website like canadianselect.net. With a disgraceful 0.1 star for reputation, it fails miserably with just 1 out of 100 for trustworthiness. Given its spam activities, even that 1 out of 100 seems a bit too much for a site of this defiance to regulation. Canadianselect.net is spamming website and does not need coupons to initiate fraud activities as traps for innocent consumers. 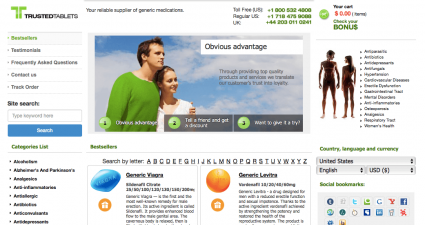 It advertises free pills for orders above just 10 pills and free delivery for 60 or more pills. More often than not, this is enough to trick consumers into buying a product by providing their confidential personal and financial information. 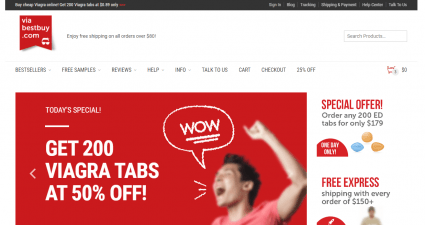 The Canadian Pharmacy online business by the domain canadianselect.net is a rogue internet pharmacy. 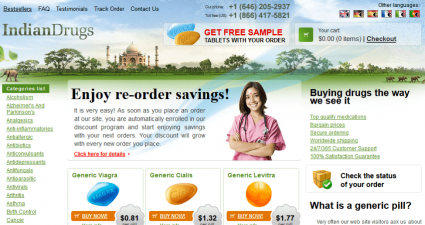 It indulges in spam to attract visitors and scam them by displaying its normal looking online pharmacy website. It is highly advised that our readers are always aware and avoid such websites and this one in particular. Associating with such websites is likely to lead to credit card fraud and other losses. After completing the review of canadianselect.net, we give it 1 star since a lower rating is not possible and a higher rating is not deserved for its spam/scam business.